This building to house the complementary operations of the Griffith English Language Institute (GELI) and the Queensland Institute of Business & Technology (QIBT). The primary design goal set by the University was to provide a functional and contemporary teaching facility for GELI and QIBT, which demonstrates best practice in water and energy efficiency. 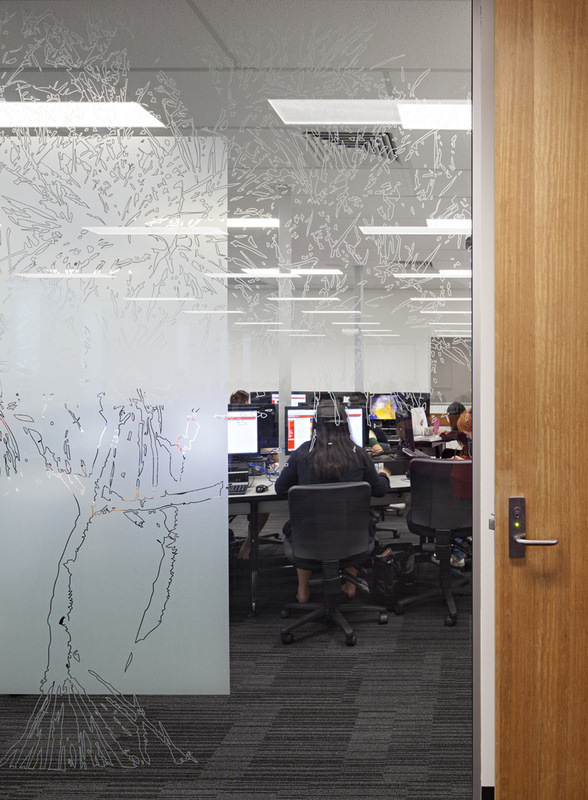 The model for this building in space design, quality and function, is the highly successful International Building (M14 – by Wilson Architects) at Griffith University’s Mt Gravatt campus which is also jointly occupied by GELI and QIBT. The spaces provided in G52 are essentially the same as for M14 but with the addition of a 150 seat lecture theatre and an interactive student lounge. 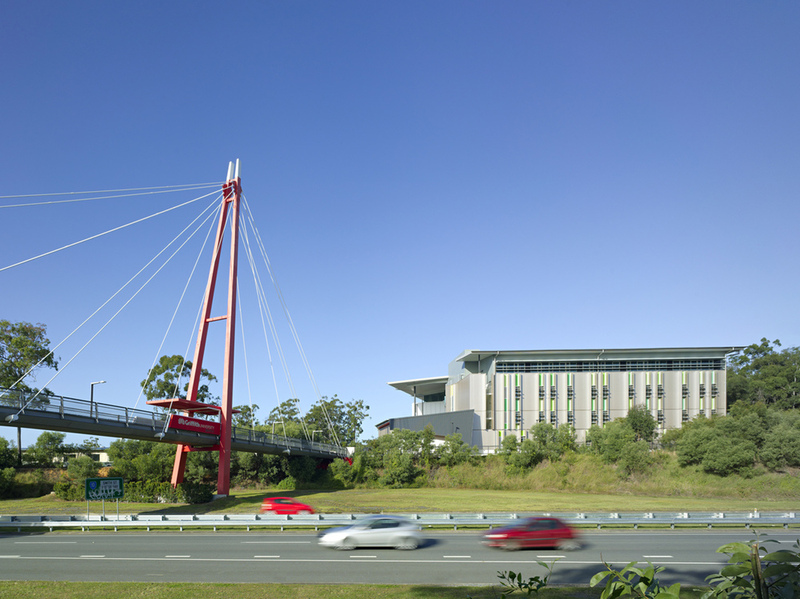 The building occupies the Southern Precinct of the University’s Gold Coast campus, on cleared land at the southern end of the Griffith Bridge which spans the Smith Street Motorway. Due to its high visibility from Smith Street, the northern façade has been carefully designed with rhythmically spaced multi-storey metallic vertical sunshades and cheerful spread of different green colour-backed glass panels to reinforce the perception of Griffith University as a modern and dynamic educational institution. 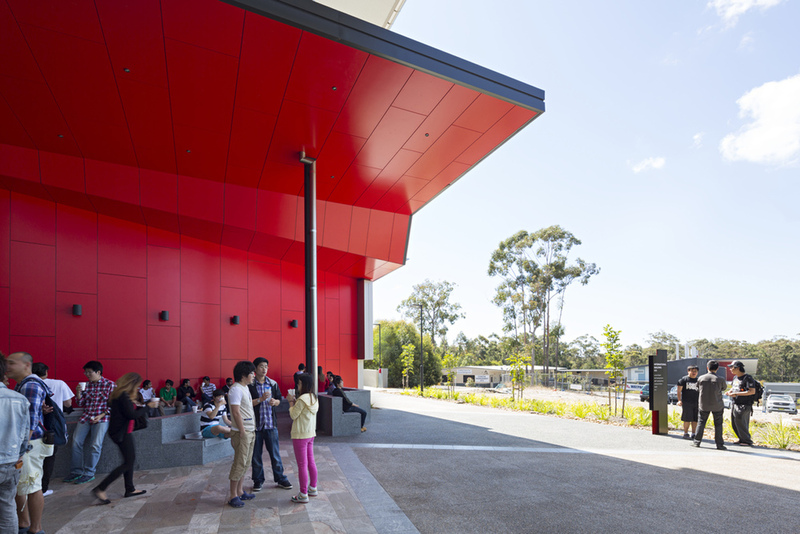 The four-storey covered and granite paved courtyard with a dynamic folded roof (with ‘Griffith red’ soffit) over external seating area is the main entrance to the building, integrated with active pedestrian link from the bridge to the Student village. Particular attention has been given to sun control. Through 3D modeling and testing, windows with various types of sunshades are designed not only to avoid direct sunlight entering the building, but such features are integrated into the facade design to enhance the appearance of the building.